Bringing safe water to those in need. According to UNICEF, in 2015, 1.8 billion people were using unsafe drinking water. What the world needs is a solution to improve the water quality and consequently the lives that are affected by it. 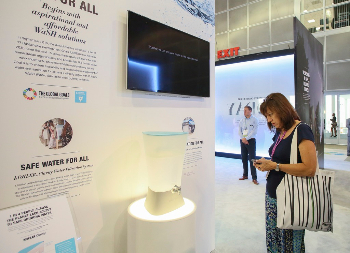 Kohler Associates worked together to figure out how to help build better lives and how to reduce the struggle to find clean water. The project resulted in the development of a ceramic water filtration system called Kohler Clarity. 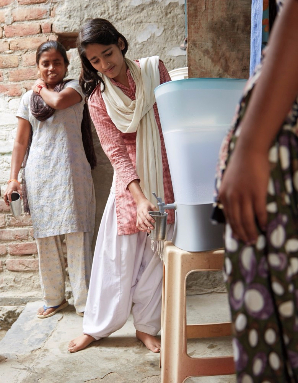 Designed by a Kohler team in the UK, engineered by a Kohler team in India and produced in a Kohler factory in the US, this truly trans-global project created a water filter that meets exceptionally high standards of quality and design. The filtration system, for example, is highly effective yet incredibly simple to use and maintain. Kohler Clarity is an innovative ceramic water filtration system designed to offer 40 litres of safe water per day without using electricity. Each Kohler Clarity filters out more than 99% of bacteria and protozoa, providing up to 40 litres of safe water each day – enough clean drinking water for a family of four. 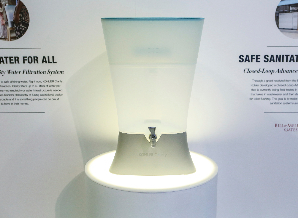 Given the incidence of water-borne illnesses can be reduced by 45 per cent through safe drinking water – and safe storage – the Kohler Clarity is a life-changing development. 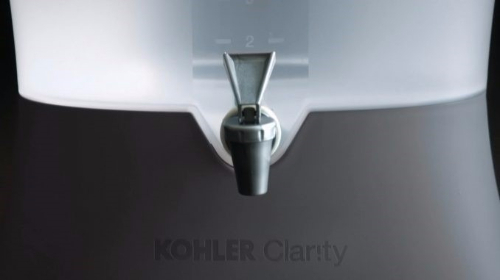 The design of the Kohler Clarity meets World Health Organisation water quality standards. The appliance filters up to two litres of water an hour and has a total capacity of 23 litres – 11 litres of dirty water and 12 litres of clean water with safe storage. Each filter can clean up to 5000 litres of water – and replacement filters are very low cost and readily available. Even the packaging has been designed to fit more product into a standard box and therefore significantly reduce transport costs. The Kohler Clarity has already helped countless numbers of people in developing countries. Visit www.clarity.kohler.com for more details on this life-changing project.